If you’ve been arrested under a DUI or other substance related offense, you may be facing mandated AA attendance. Similarly, if you’ve been imprisoned or are on parole after a substance-use related offense, your probationer or parole officer may require you to attend AA. 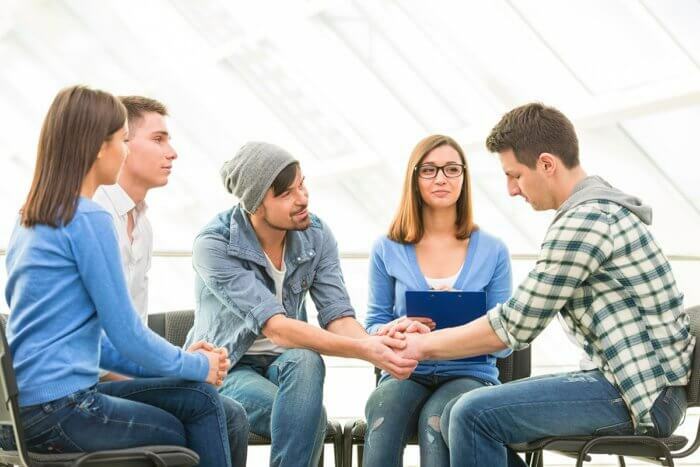 While this practice is common and extends to Narcotics Anonymous as well, it’s one that is increasingly raising questions across the United States. Can they really make you attend AA? The short answer is yes, they can – unless you want to face jail-time instead. However, the long answer is heavily dependent on your specific situation as well as additional factors such as whether you are willing to pursue a case with a lawyer. In most cases, if you have no religious objections to AA, a court can force you to attend AA. In the first instance, you can choose to spend time in a penitentiary rather than attending rehab. 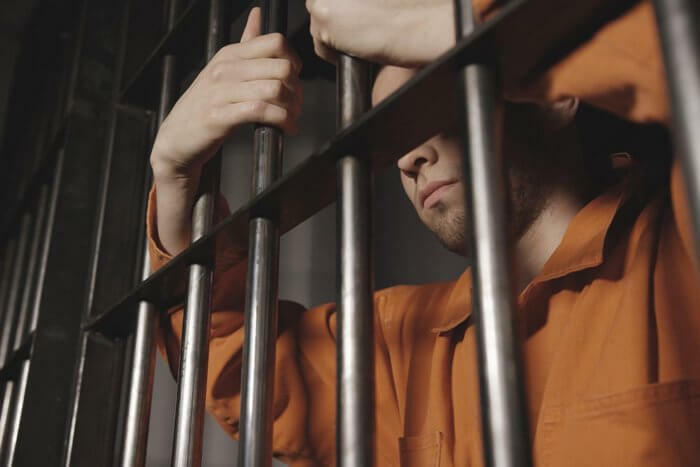 Most people do not make this decision, as jailtime is longer, typically shows up on your record, and is generally significantly less pleasant. If you are already in prison, you can request alternative care or may be able to choose to not attend, but this will depend on the penitentiary. Is AA Attendance Mandatory if You Aren’t Christian? In the other two cases, courts can make you go to AA unless you have religious objections to the Christian-based program offered by AA. For example, if you are atheist or Buddhist and refuse to follow the program while attending AA instead of jail, you could potentially be arrested and remanded to prison for not following the program. In this case, it is important that you clarify a few things with your rehab center and treatment option before beginning. Is your AA Group actually Christian? More and more 12-Step programs are relaxing their grip on Christianity and allowing users to adopt any higher power of their choosing. While the general curriculum and material is highly Christian-based, you can practice whatever you want. However, each group tends to do their own thing, and some are highly Christian-centric. In most cases, you can use ‘whatever works’ as your higher power but it is important to verify this with your counselor, case worker, and the group in question. Is an alternative treatment option available? If you are offered a Christian program and practice another religion, you can sometimes request a change. You will have to work with your counselor to achieve this and it may not be possible. If not, then court cannot mandate that you attend a program against your beliefs. You may not be required to attend AA or 12-step meetings if they are Christian based. However, you will have to collect evidence proving that they are Christian-based, and you may have to take it to court. What About If I’m in Prison? Do I Have to Attend? Court rulings beginning in the 1990s mandate that you cannot force prison inmates or those on probation to attend 12 step meetings or 12-step based treatment. This is written into law under the Establishment Clause established under the First Amendment. “Government may not coerce anyone to support or participate in religion or its exercise”. AA, with heavy references to God in its literature and structure is deemed religious enough to make forced attendance unconstitutional. If your specific branch changes references to God to Higher Power, this clause may not be applicable. More importantly, there are numerous rulings in your favor. Courts in nearly every circuit have implicitly ruled in favor of the Establishment Clause and the only thing you need to do is establish that the program is religious, establish that you are mandated to attend at expense of losing a privilege or benefit or receiving punishment, and that the court or facility ordering your attendance does not have a secular option available or has denied it to you. This can be pressed under preceding court cases including Lee v. Weisman (1992), Kerr v. Farrey (1996), Bobko v. Lavan (2005) and Munson v. Norris (2006). However, you may be forced to attend treatment as part of your probation. Most states are required to offer secular treatment alternatives in areas where treatment is mandatory, and you cannot back out without facing consequences such as heavy fines or jailtime. What if Religion is Not a Concern? While religion is the most valid way to legally get out of mandatory AA meetings, it’s not the only option. However, it’s important to keep in mind that the court can make you attend treatment. So, if you take your case to court and get out of mandatory AA, you will likely end up in another, similar program such as SMART Recovery instead. Here, the most pressing argument is that AA does not work for everyone. A court cannot ethically force you to do something if you don’t believe it will work, especially if you’ve attended and failed to recover in the past. Here, you can press to be allowed to attend a different treatment solution through your case worker. What to Do If You’re Forced to Attend AA? If you feel that you have a valid reason such as religious or a very strong preference for another treatment option, you should discuss your options with your case worker. If you feel that you’re being forced to attend a religious-centered treatment program against your will, you can fight it and win. However, courts do have the right to mandate treatment attendance, and your only option will be to choose something else. If your only concern about AA is that it may not work for you, the program is one of many that are shown to be helpful when followed. AA benefits attendees by providing accountability, creating consistent social motivation to stay clean or sober, and consistent help from peers and friends. While the program is not more successful than other treatment solutions, it has about the same success rate as SMART and other non-secular options, because the largest benefit of most is social motivation. Most studies indicate that attending AA greatly increases chances of sobriety at 1, 5, and 16 years after recovery begins – with one study showing that 67% of 27-week AA attendees are sober during follow-ups, versus 39% for those who received no treatment. So, while controversial, AA has been shown to help attendees, especially those who attend for longer periods. If you or a loved one is being forced to attend AA, it can be overwhelming. Alcoholics Anonymous meetings are strange and difficult to understand at first. Everyone goes into it thinking it’s not for them. But, if you don’t have religious objections to the program, it can do a lot of good. Chances are that if you’ve been ordered to attend by a court or as part of probation, you have a substance abuse or had a substance abuse problem. Getting help, talking to others with the same problems, and participating in group recovery can give you the tools and the motivation to stay sober. If you do have a religious objection or want to attend another program, discuss your options with your case worker. Nearly all areas have some non-secular options available, and if not, you may be able to transfer to an area that does. And, if your probation officer forces you to attend AA as part of your probation, you can take it to court if you aren’t allowed to choose a non-secular option. For more information you may contact Lighthouse Treatment Center today. We are here to help and happy to provide a no-cost, no-obligation consultation with one of our experienced treatment advisors.